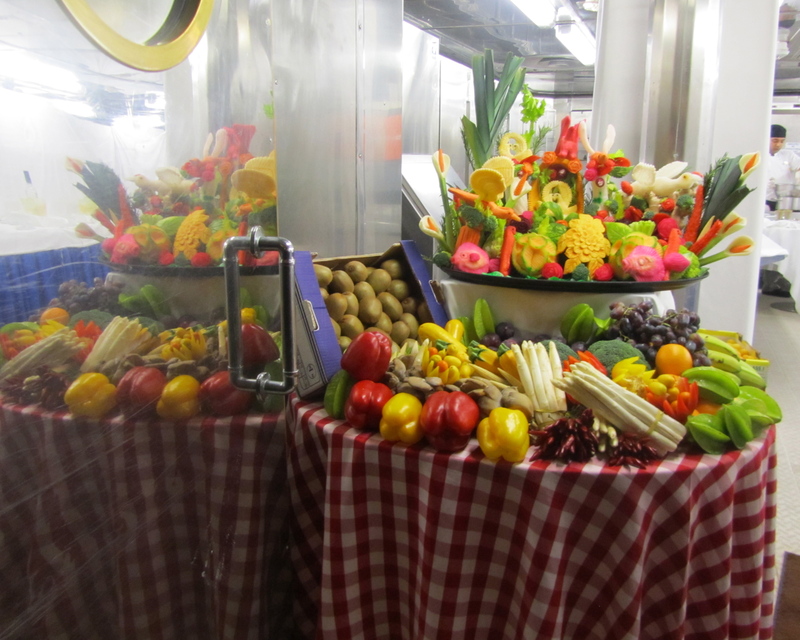 Galley Market Lunch: A gala not to be missed! An interesting photo taken at the entry to the Galley Market Lunch. We are back in Venice for the day to discharge and load new passengers. This is a back-to-back journey and we are on for the two consecutive journeys. It was so nice to meet many fellow passengers, but alas, they are on their way home and we are to meet and greet a whole new group. We were looking forward to getting lost again down the lanes, into squares, eating pizza, pasta and gelato. But, oh, the rain came pouring down to greet us. 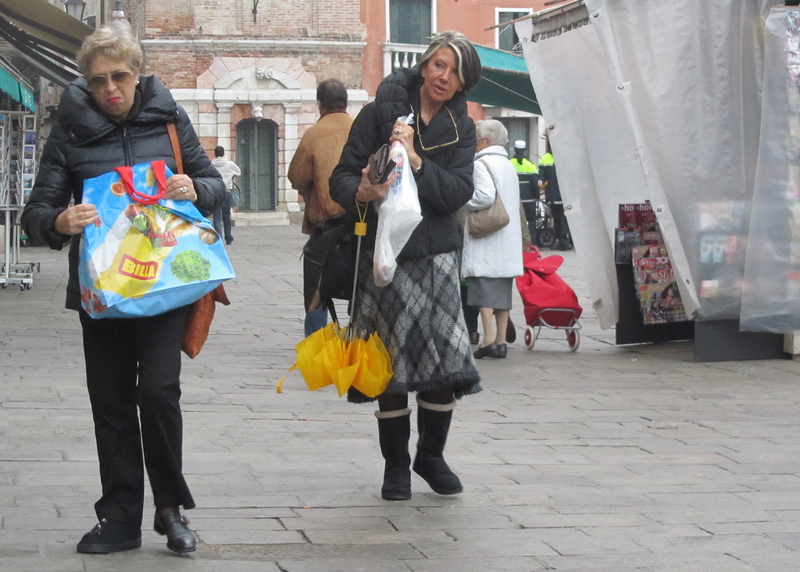 So, let us say you have one last day in gorgeous Venice the queen of the Grand Canal and are you going to let the rain deter you? No. We headed out dry as bones basking in the sun and came back drenched like laundry left on the line in a downpour. 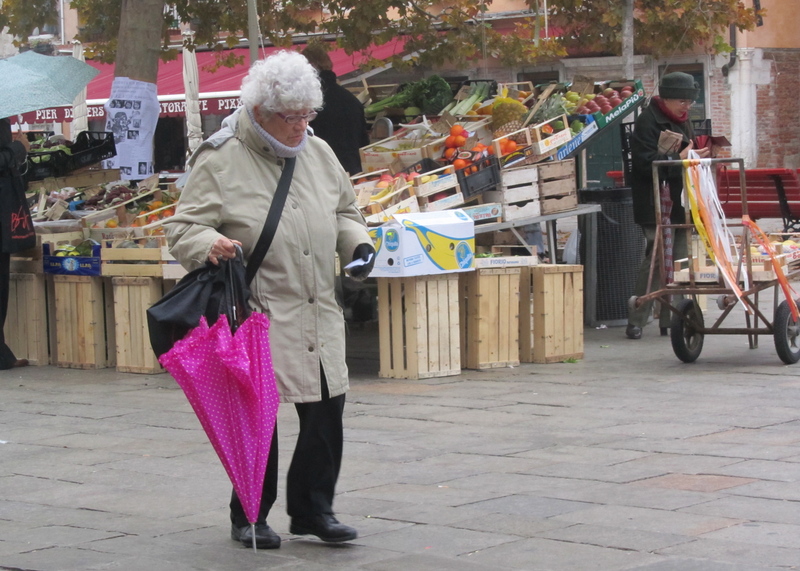 Rain or shine we are happy to be in and amongst the Venetians. 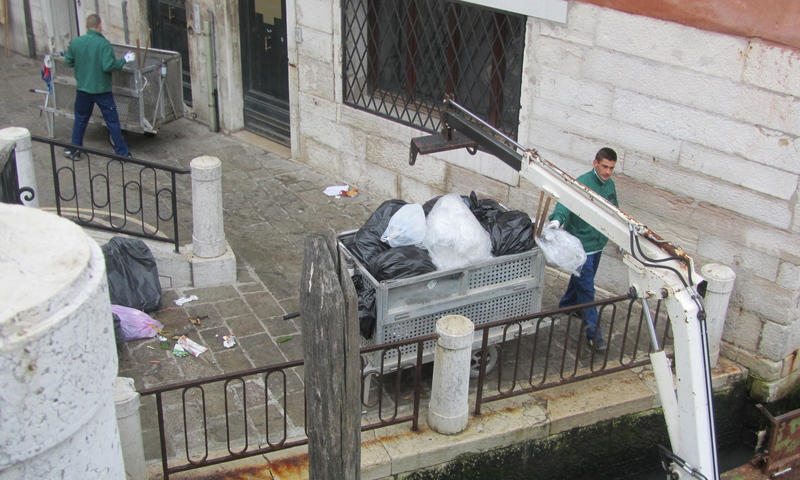 We got an early start and noticed trash out in front of every door tied in neat little bags. 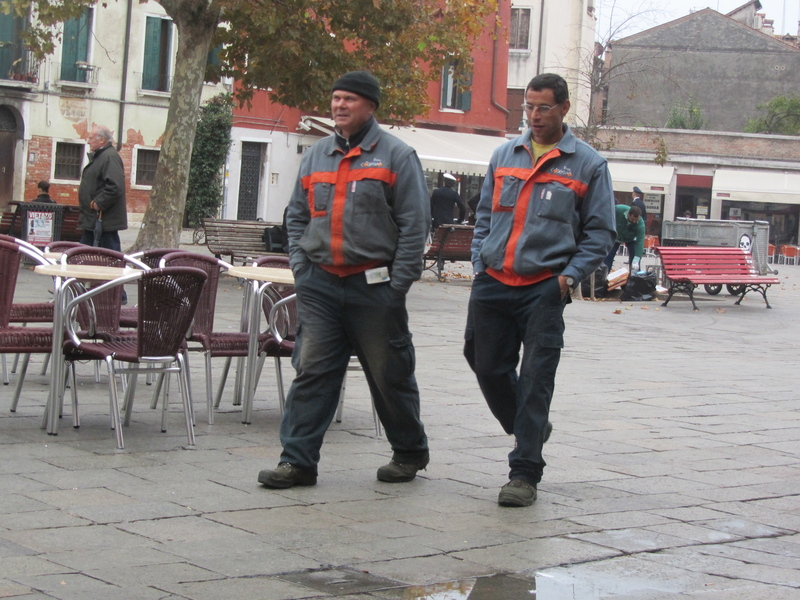 Then, we noticed the trash collectors and their carts nipping at our heels. We wondered what the collectors do when they have a full cart. We happened upon the answer to our trash question. 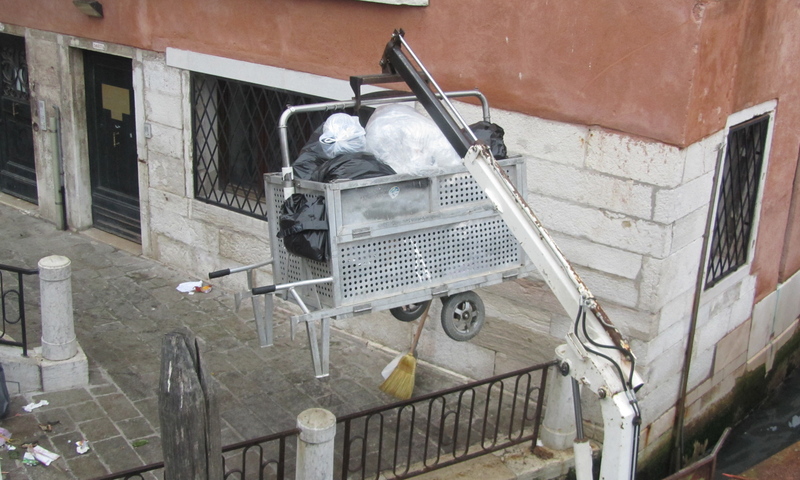 First the collector brings the full cart to the edge of the closest canal where the trash boat is moored. 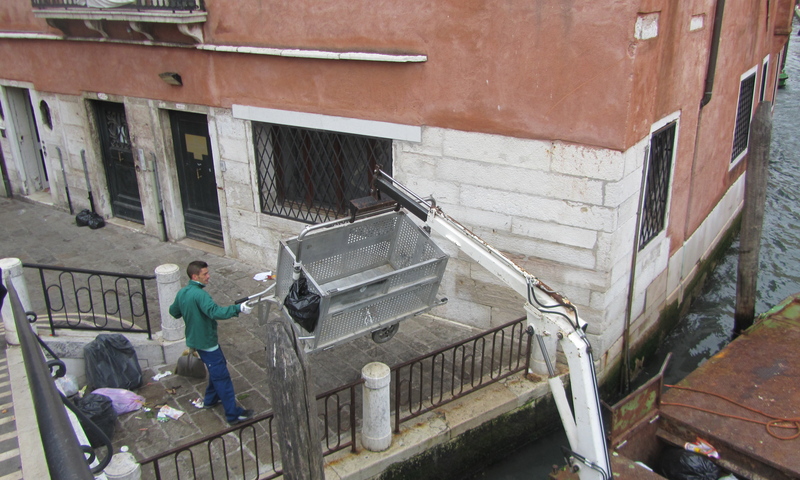 The cart is positioned just right for the jaws of the boat’s crane. 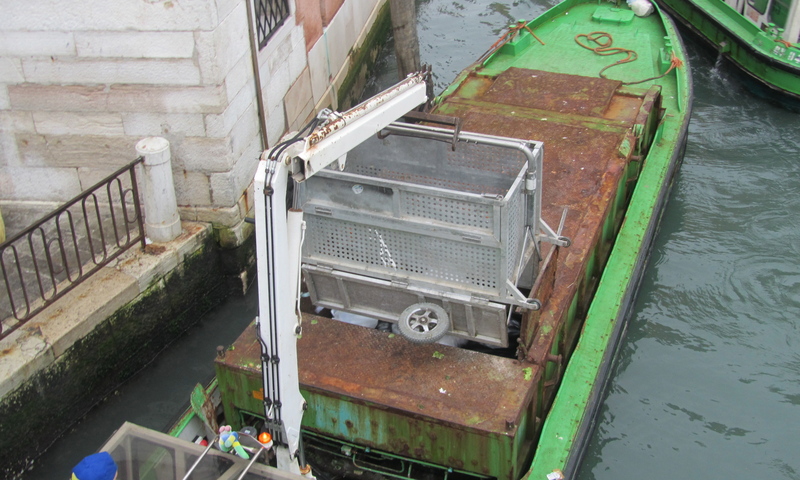 The jaws are clamped and the bin is swung along to the boat. The trash is dropped into the pit and mashed. 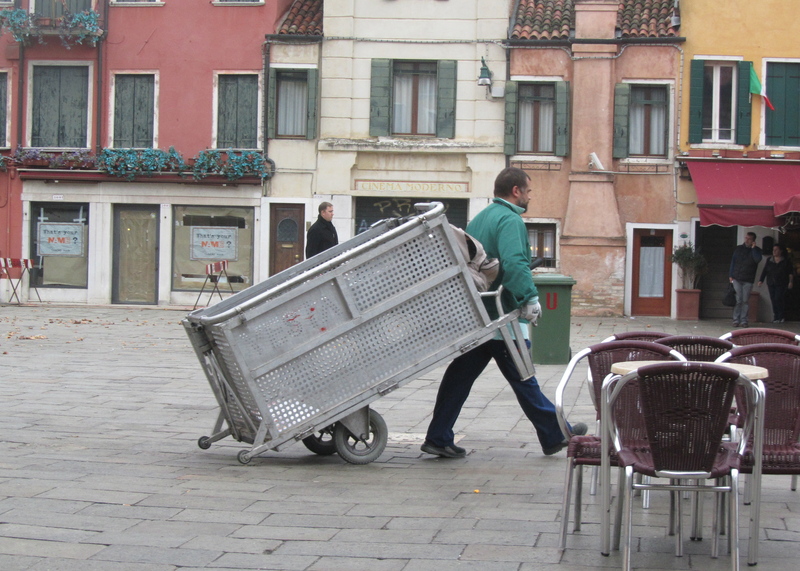 The bin is returned to the collector. The collector is then on the way to get more trash. 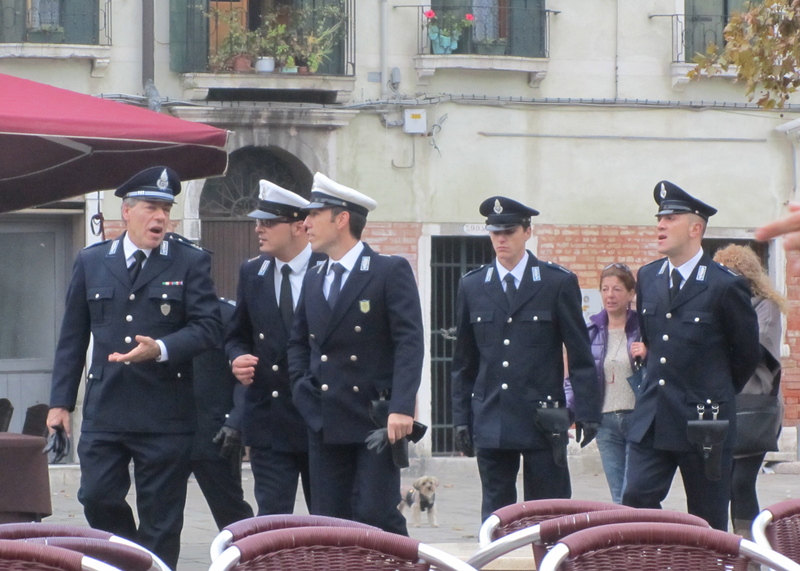 Here are some photos of a few Venetians who happened in front of our café. 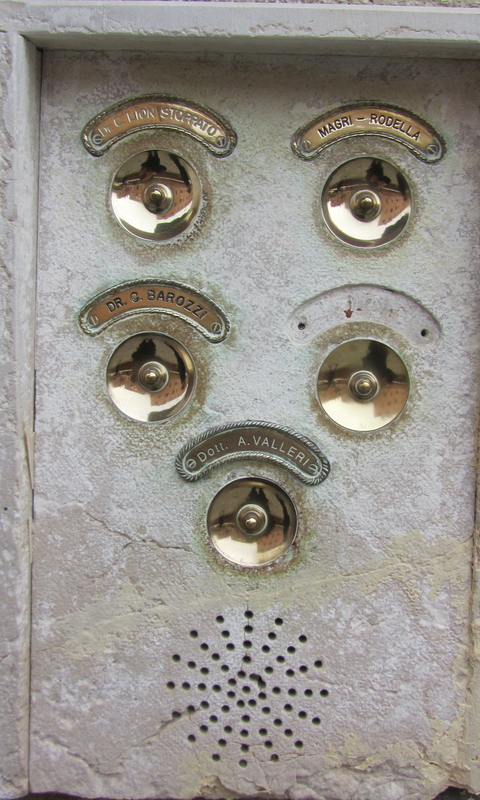 Doorbells: This one is for GUY!!! We would like one installed asap. Stuffed and not needing another bite, we remembered what John, a fellow traveler had instructed. He said, “Have the most outrageous gelato flavor and then you can tell your kids about it.” It is raining; are we really going to have gelato in the rain. Yes. It was my choice, and I chose Crema di Dogi. Yes, outrageous and kids, it was so good I swooned. The gelato/cream part was a creamy custard flavor with orange marmalade swirled through it. If you were not an orange marmalade aficionado, this flavor would not have the same effect on you as it did me. Viva la Crema di Dogi. We made a purchase of 15 small magic beads today in the square, and the lady used slight of hand to remove one. Skip was quick to notice and made her recount them; certainly one was missing. He asked her to put one more on the pile and then the deal was sealed. Bravo for the magician’s eye. That’s my dad. He is one smart man. 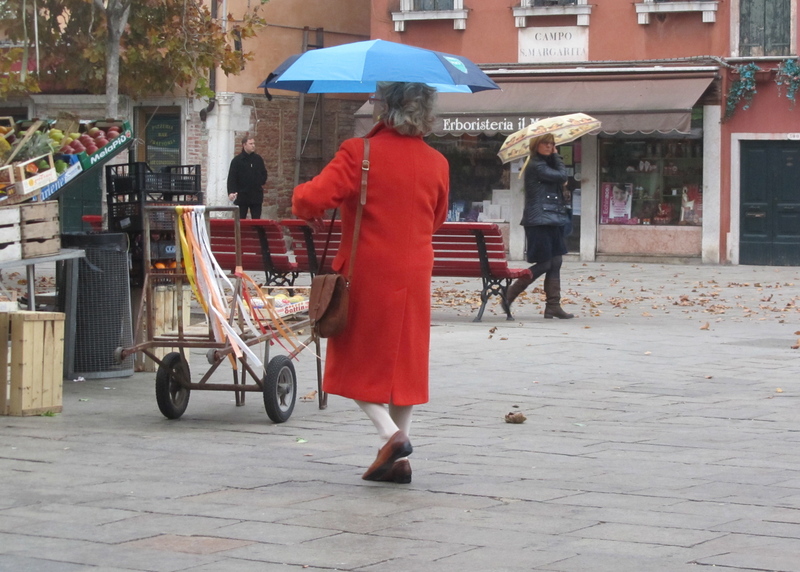 I just know you had a ball getting soaked in the rain in Venice!! Love ya.